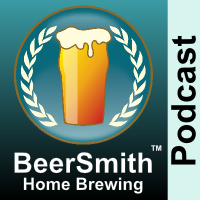 Denny Conn, the author of Experimental Homebrewing (Amazon affiliate link) joins me this week to discuss decoction mashing, first wort hopping and biases in evaluating your beer. Denny has some interesting and unexpected results based on his blind tasting experiments. I apologize for the audio/video quality this week. Denny had some connection issues, and we only had a limited time to complete the interview. We start with a discussion of some of Denny’s recent projects including a new book he’s working on. Denny discusses his approach to evaluating beer and also how you can make incremental improvements. We talk about his philosophy of creating the best beer with the least amount of effort. Denny shares his first experiment which compares decoction and non-decoction brewed beers with blind taste tests. Thanks to Denny Conn for appearing on the show and also to you for listening!